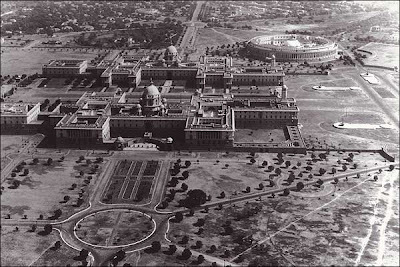 I have traveled across the length and breadth of India and I have not seen one person who is a beggar, who is a thief. Such wealth I have seen in this country, such high moral values, people of such caliber, that I do not think we break the very backbone of this nation, which is her spiritual and cultural heritage, and therefore, I propose that we replace her old and ancient education system, her culture, for if the Indians think that all that is foreign and English is good and greater than their own, they will lose their self esteem, their native culture and they will become what we want them, a truly dominated nation. 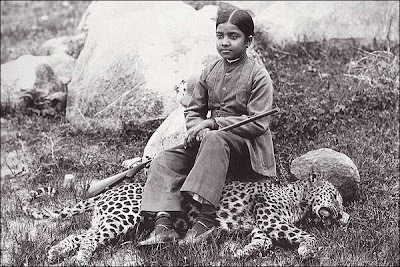 The daughter of an Indian maharajah seated on a panther she shot, sometime during 1920s. 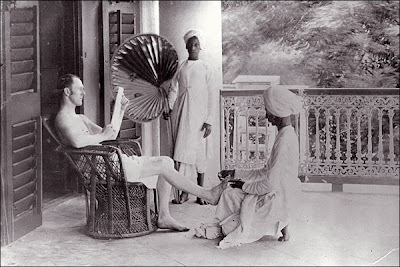 A British man gets a pedicure from an Indian servant. 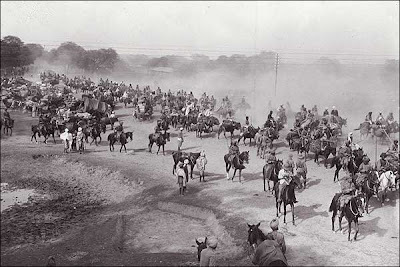 The Grand Trunk Road , built by Sher Shah Suri, was the main trade route from Calcutta to Kabul . 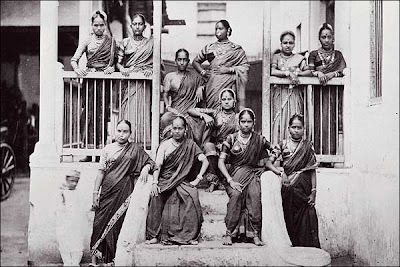 A group of Dancing or nautch girls began performing with their elaborate costumes and jewelry. 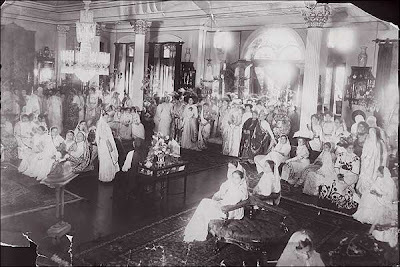 Women gather at a party in Mumbai ( Bombay ) in 1910. 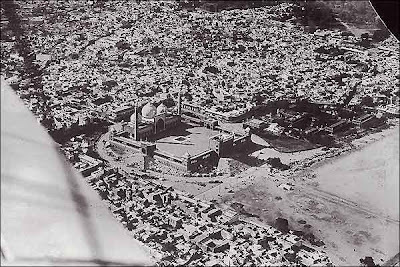 An aerial view of Jama Masjid mosque in Delhi , built between 1650 and 1658. 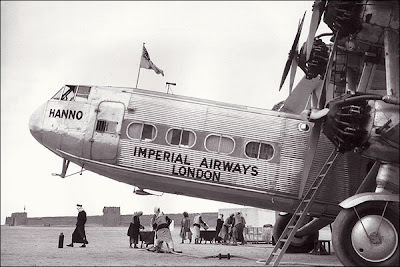 The Imperial Airways 'Hanno' Hadley Page passenger airplane carries the England to India air mail, stopping in Sharjah to refuel. 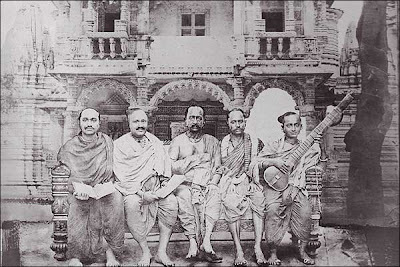 0 Responses to "History of India in Pictures"